Get SWCD Events & News! Soil and Water Conservation Districts (SWCDs) are subdivisions of State Government, governed by locally-elected Boards of Supervisors. 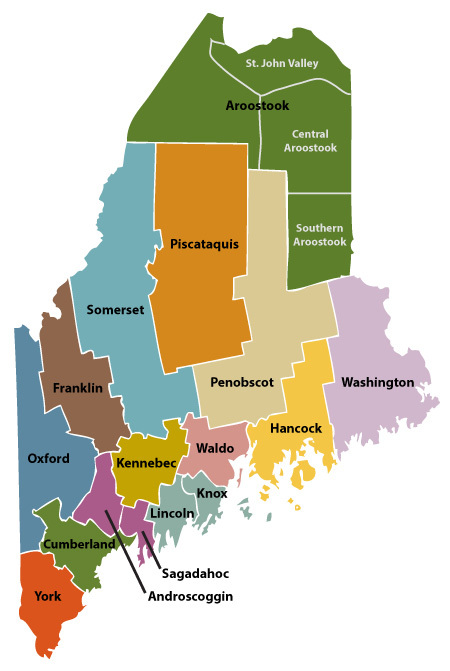 There are sixteen SWCDs in Maine which generally correspond to county boundaries, although there are a few exceptions (see the map below and the list that follows). SWCDs establish local priorities for conservation efforts. Emphasis is on agriculture and forestry although urban development is a priority in some districts. SWCDs hold workshops, set up demonstrations, offer educational programs, review development plans, and set priorities for one-on-one technical assistance, at the request of land occupiers.